The egg & spoon races are done and dusted and the parents race in which you panted home last is but a distant humiliation. The countdown now officially begins to the summer holidays. For a couple of days everyone’s on cloud 9, then the squabbles set in and up goes the familiar cry of ‘I’m bored’. 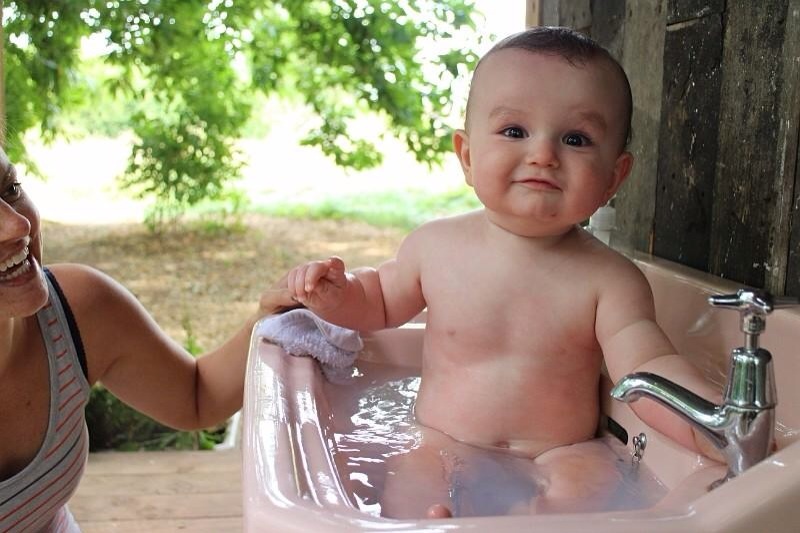 On go the gadgets and down go the heads as their digits start a-tapping… you may start to wonder if your children are ever going to venture outside and how the heck you are going to keep your voice NICE AND CALM for the next 6 weeks. 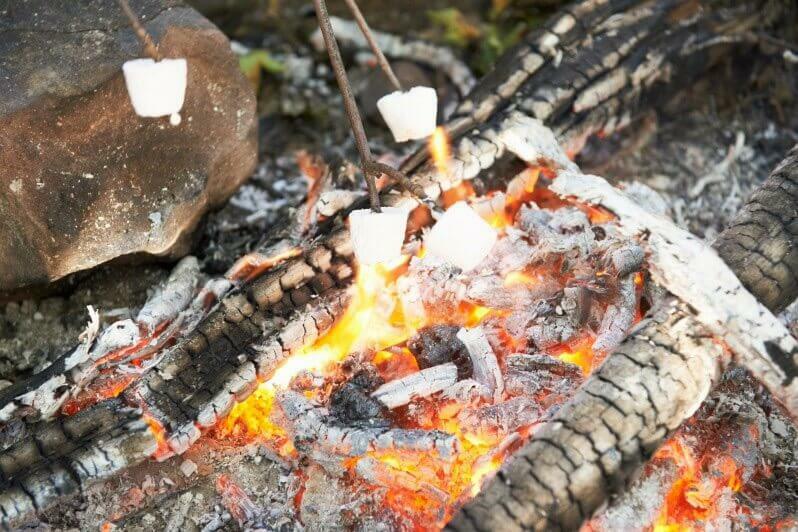 Here at Mad Dogs & Vintage Vans we are all about embracing the Great Outdoors and life’s simple pleasures: toasting marshmallows over an open fire, making dens and mud pies, staying up late til the sun sets over the hills and listening to our resident owls hooting in the copse. 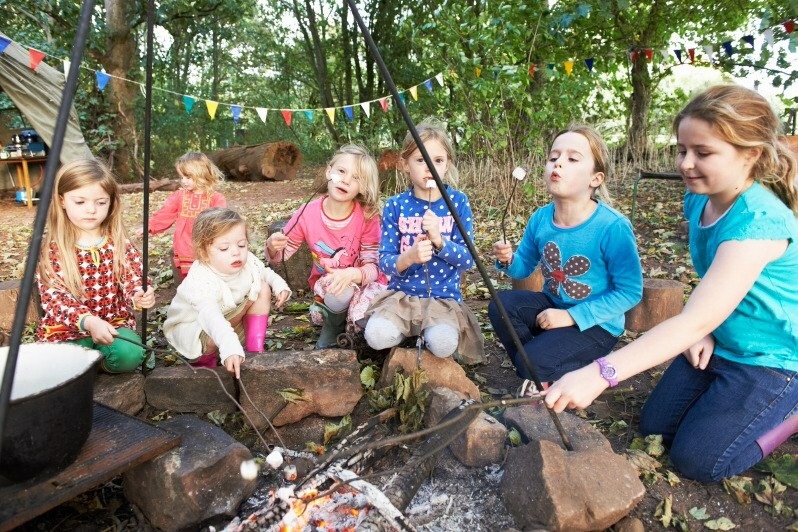 Good old fashioned holidays where kids are free to run wild and families spend time playing, laughing, eating and going on adventures together. Check our summer availability here. 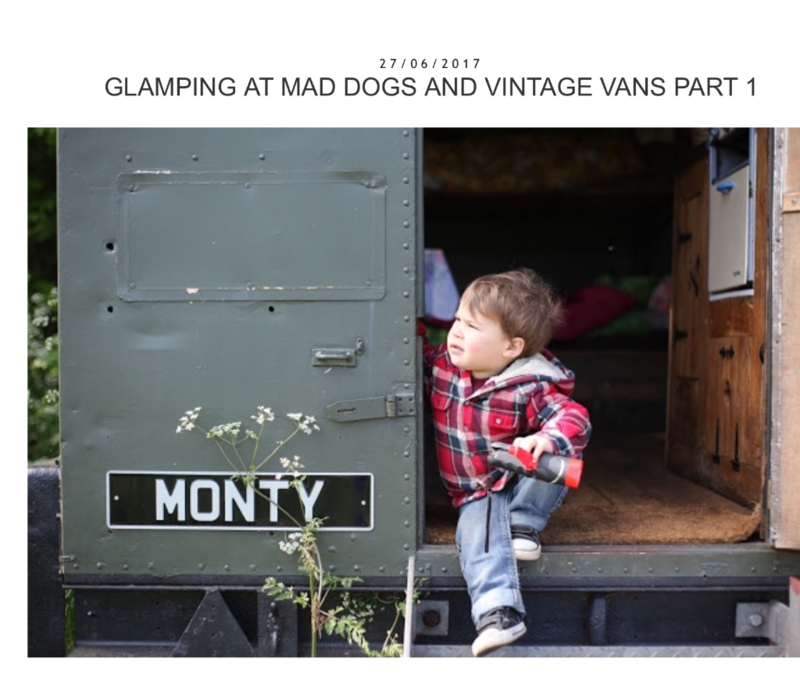 Lifestyle blogger Laura Side Street recently enjoyed a glamping break staying in Monty with her two young boys and mother. For her a digital detox was the main motivator: ‘I am a firm believer in the restorative power of disconnecting from technology and the busy daily routine and reconnecting as a family, away from distractions in the most simple ways… there has been a lot of recent scientific research showing the benefits of spending time outdoors and within nature such as stress relief, improved mental and physical well-being, increased energy levels and concentration and the list goes on’. 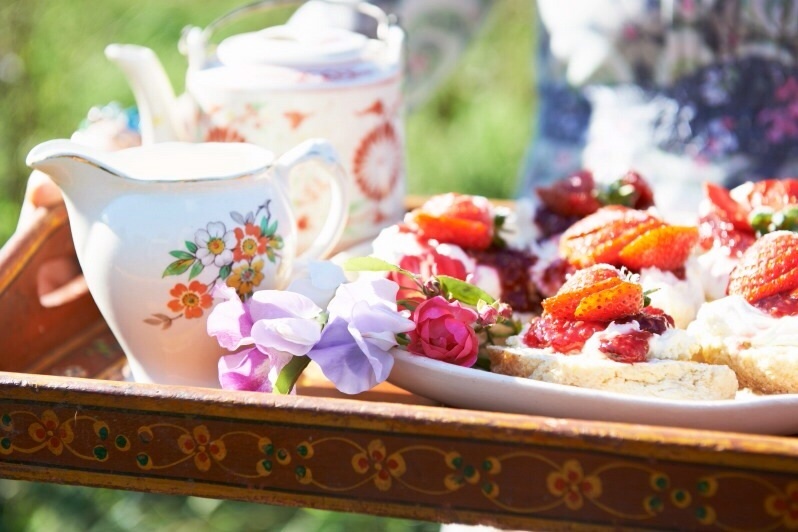 Click below to read the first instalment of her fab Mad Dogs glamping blog. Stunning photos too. 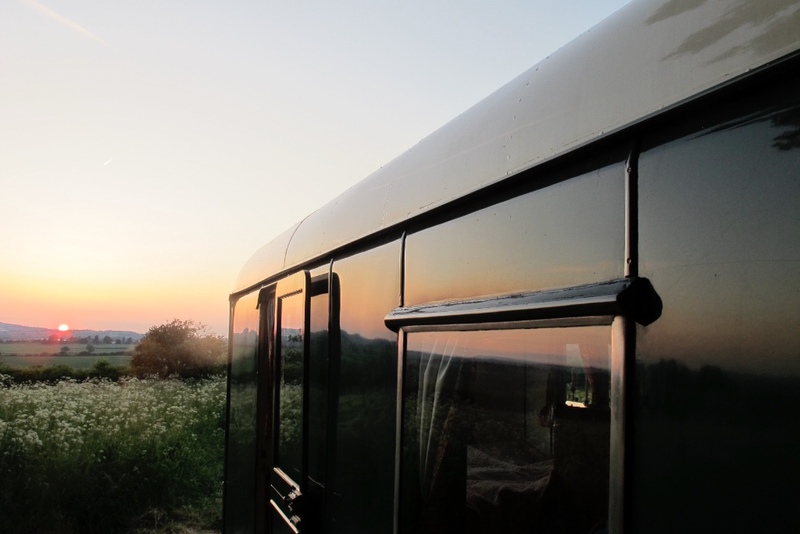 Our four vans are situated in a wild grass meadow overlooking a field where horses graze peacefully and with fantastic views west to the Black Mountains. Military man Monty has the advantage of a private deck and can sleep a family of up to five. 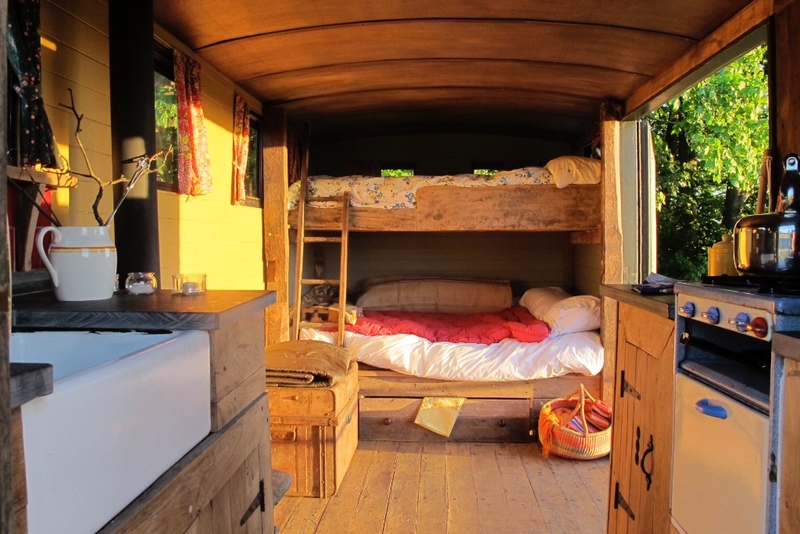 Gertie is the grand dame of our fleet, dating from the 1930s and sleeps 4 whilst Sybil, who was handmade by a carpenter dad in the 1940s, sleeps 4 comfortably plus there’s an additional hammock bed for a small child. Curvy Elsie has a large double but families are welcome to pitch a tent next to her for overflow accommodation. 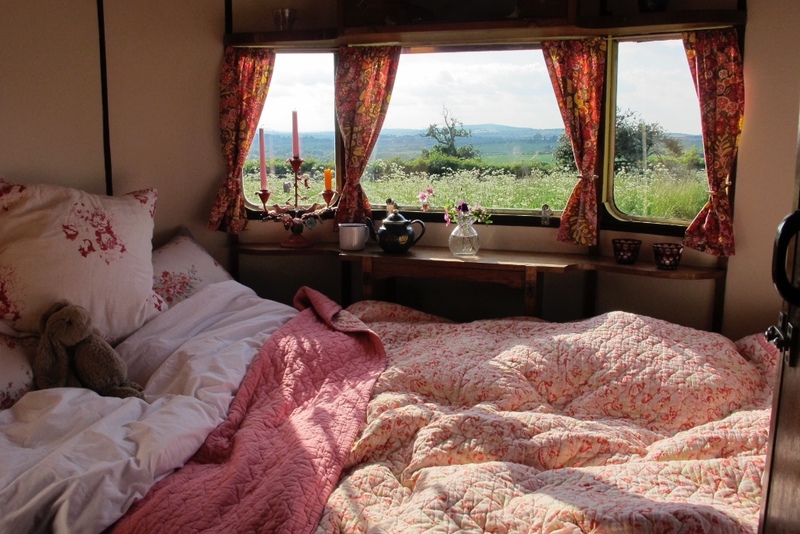 The vans are located close enough to each other if you’re coming with friends but far enough apart to guarantee privacy. 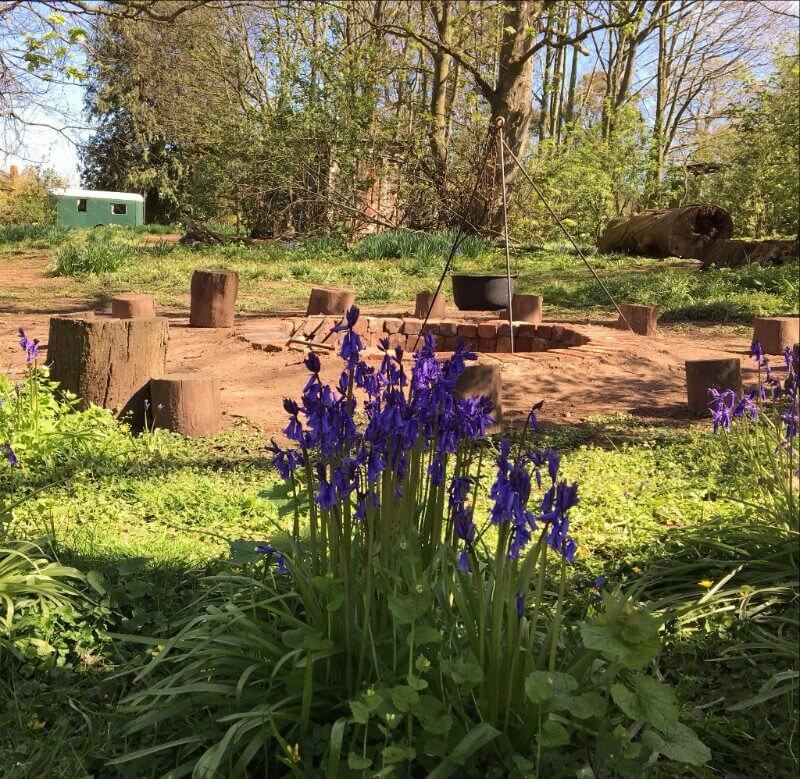 There’s plenty of adventures to be had by day in this stunning corner of the Wye Valley: hire a canoe and if you’re lucky you’ll spot a kingfisher on the banks of the River Wye or head off to the nearby ancient Forest of Dean where there’s a wealth of activities including great cycle trails. 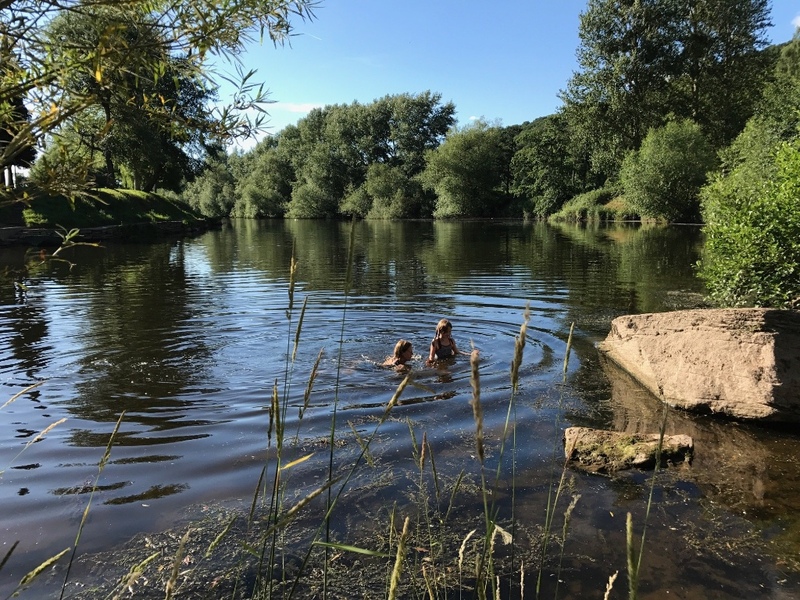 The picturesque market town of Ross-on-Wye is only an hour’s walk down a farm track along the river and you could always stop for a dip en route. Or take advantage of the tennis court on site and have a family knock up (please remember to bring balls and rackets). Ladies, perhaps indulge yourself and book a Glamp n Pamp nurturing holistic treatment with our onsite therapist. 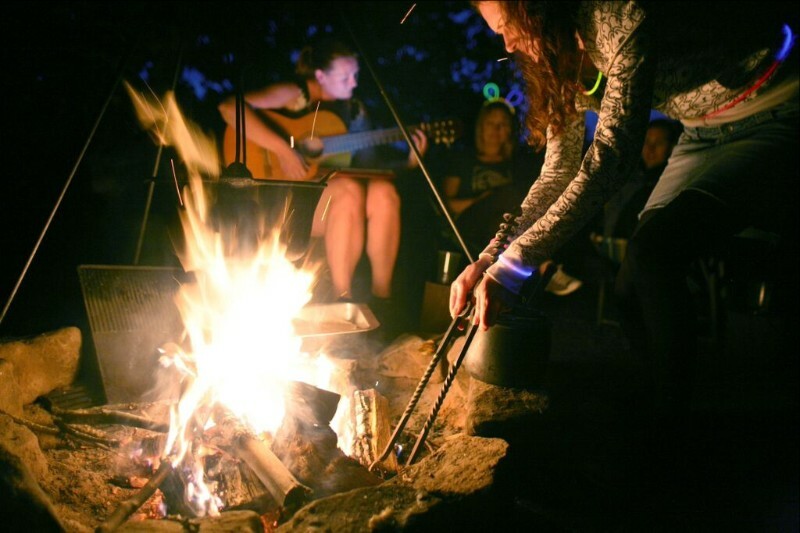 By night spark up a fire and get the sausages sizzling before settling back to do a spot of stargazing.